Turkey’s government appears to have been overthrown in a coup, as the military claimed taking control over the country. 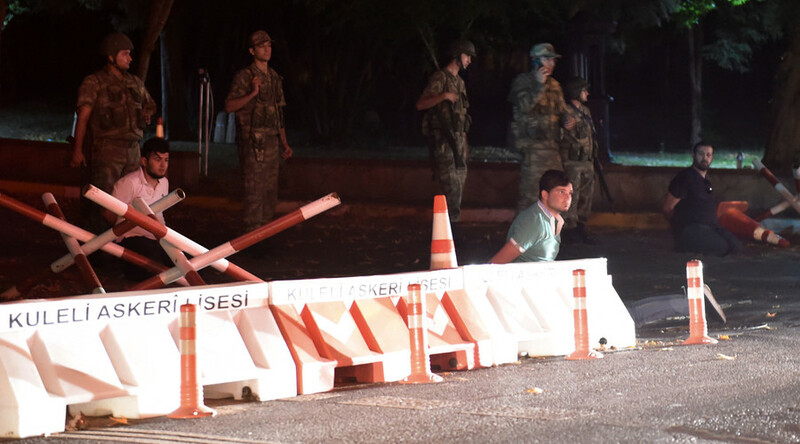 Heavily armed soldiers and military vehicles closed the two main bridges in Istanbul Friday evening, and while low-flying military jets could be heard overhead. Around midnight local time, a TRT anchor announced the country was now run by a “Peace Council” that will ensure the safety of the population. Tanks have been posted outside Istanbul’s Ataturk International Airport and in other locations in the city. Access to Twitter, Facebook and YouTube is being blocked, while the state-owned TRT television has gone off the air, according to reports from inside Turkey. It's website shows weather. “Some people illegally undertook an illegal action outside of the chain of command," Prime Minister Bulent Yildirim said, in comments broadcast by private channel NTV. Justice Minister Bekir Bozdag reportedly blamed the coup on Fethullah Gülen, a Turkish preacher currently residing in the US. A former ally of President Erdogan’s AKP party, Gülen fell out of favor in 2013. President Recep Erdogan is reportedly on vacation in the southern Turkish resort town of Bodrum. About half an hour after midnight local time on Saturday, Erdogan appeared on CNN Turk (via Skype), issuing a statement blaming "parallel state" for the coup, calling for people to take to the streets, and vowing "We will overcome this." Tanks have been posted outside Istanbul’s Ataturk International Airport, while armored vehicles were photographed outside TRT offices. All flights from Istanbul's Ataturk International Airport have been canceled, Reuters reported citing a witness. People are standing in lines to get money from ATM's. US Secretary of State John Kerry said he hopes for “peace and continuity” in Turkey, AFP reported.